What Is Difference Between an ATM Card and a Debit Card? ATM cards and debit cards are used to access money in one's checking account. They have quite a few similarities, but they also have a few key differences in terms of how they are used by cardholders. The cards are generally issued directly by the bank where you hold your checking account and are not issued by credit card companies. It is also important to note that neither of these types of bank cards are credit cards. 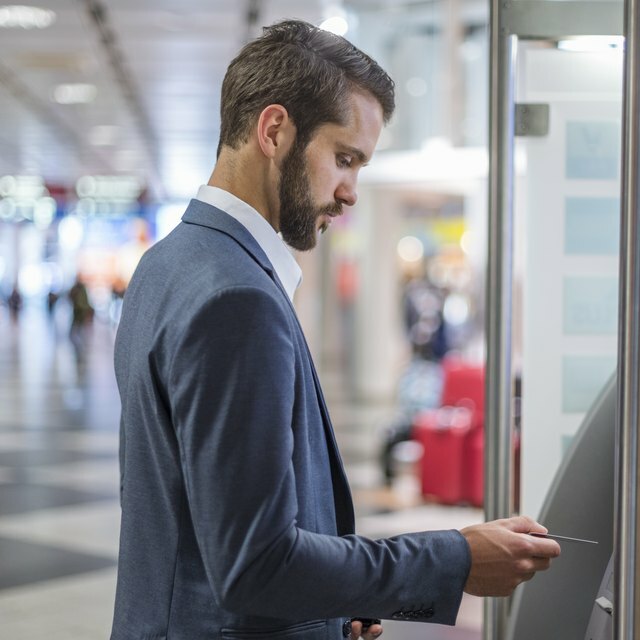 Both ATM and debit cards serve the purpose of linking your checking account to a plastic card that can be used to access and use your money 24 hours a day. Both cards can be used to withdraw money from an ATM machine and both cards generally have PIN numbers that can be used to complete a secure transaction. An ATM card can generally only access cash through an ATM machine and can not often be used for purchases. A debit card, on the other hand, can be used much like a credit card to buy products without cash or a check. When a debit card is swiped as a credit card, the PIN number is optional. Whatever the case, unlike a credit card, money spent through a debit card transaction is deducted directly from your checking account. You can tell the difference between a debit and ATM card by looking on the front of the card. Cards that serve as Debit cards will have a branded logo of a transaction processing company, such as Visa or MasterCard, on the front of the card. This signifies that the card can be swiped like a credit card and the transaction will be processed over that network. It can be used wherever the matching logo is displayed. An ATM card lacks these logos and lacks the capability to connect to these processing networks. However, in some cases, select merchants may have a Point of Service system that allows customers to purchase items with an ATM card. Debit card processing is more common. An ATM card is a no-frills way of withdrawing money from one's checking account. The card comes with a customer-created PIN number that is entered whenever the card is used to withdraw cash. The cash withdrawal is immediately deducted from the checking account and the transaction is immediately posted to the account. A debit card can also withdraw money from an ATM machine with a PIN number. The debit card can also be used to make purchases wherever the processing company's logo is displayed (such as Visa). The card can be swiped as 'debit' meaning that a PIN number must be entered, or the card can be swiped as 'credit' which requires no PIN. The benefit of using the 'credit' option is that some banks offer rewards programs for credit-swiped purchases. An ATM card's biggest downside is that it usually functions only as a cash withdrawal mechanism and can not be used for much else. A debit card has a few downsides. First off, a debit card used to make purchases may not process the transactions for a few days. This means a purchase made today might not show up on one's statement or even show the money deducted from the account balance for a few days. This can throw some people off and cause them to overdraw on their account or bounce other payments. Also a debit card can be 'swiped' like a credit card, which does not require a PIN number. This means that theft of the card can mean the thief can use the card with no PIN number. Additionally this means that the stolen card, when used, is drawing directly from the owner's checking account, whereas with a credit card the person's own money is not accessed and the transaction only shows up on a monthly bill to be paid later. Liability is also an issue with debit cards. More and more banks are reducing liability for unauthorized purchases on a debit card, but with a credit card the user is generally not liable for any unauthorized purchases over $50. Even if the liability is zero for a debit card user, if the transaction clears, the money is already taken from the your checking account and you must work with the bank to get the money replaced. Even if an ATM card is used for purchases, or if a debit card is swiped as "credit," there may be a misconception that the "credit" status of the transaction means that payment is not due at the time of purchase. However no matter how the card is swiped, the money is taken out of the user's checking account within a few days of the transaction--there is no grace period or billing for a debit card run through as a credit card.